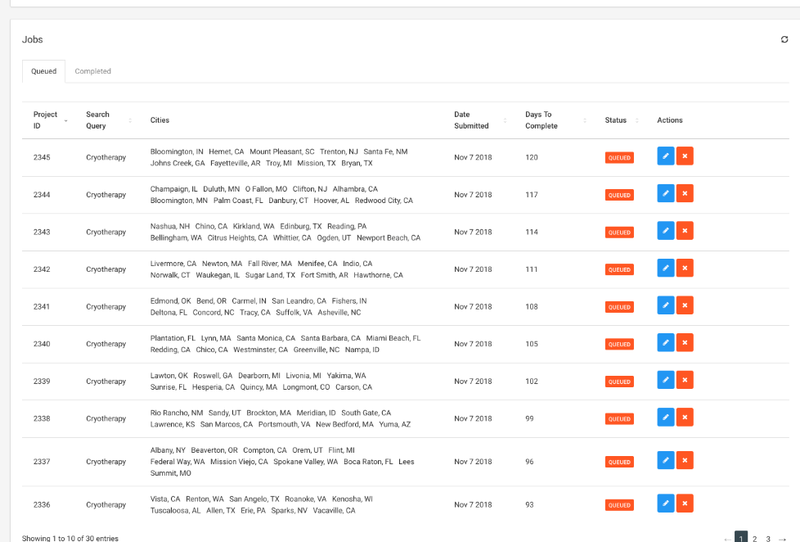 A job is 1 run of Lead Kahuna, which is 1 keyword, and up to 10 cities. You can run submit as many jobs as you want - you can build your lists weeks, even months, ahead! Jobs get completed every 72 hours. 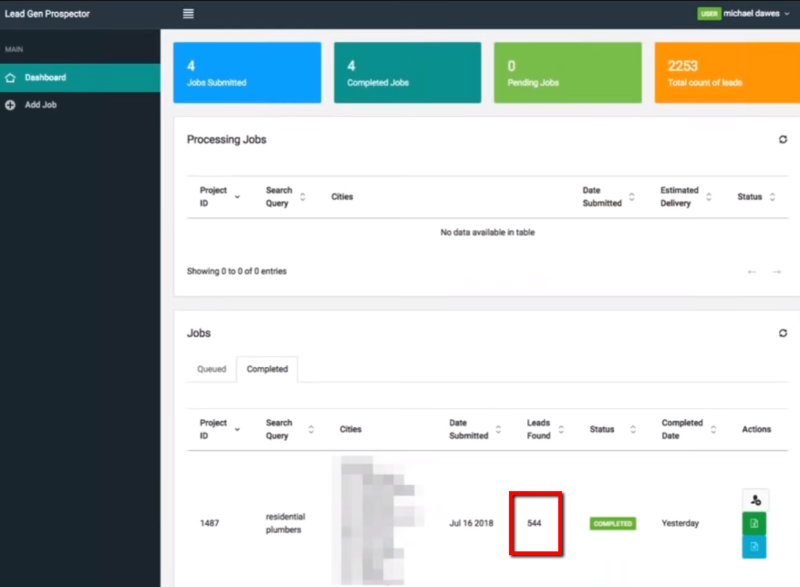 You can fill your queue with many jobs in just a few short minutes. This will ensure you get the most out of your monthly subscription ! Jobs differ depend on the niche/vertical you go after and the cities. 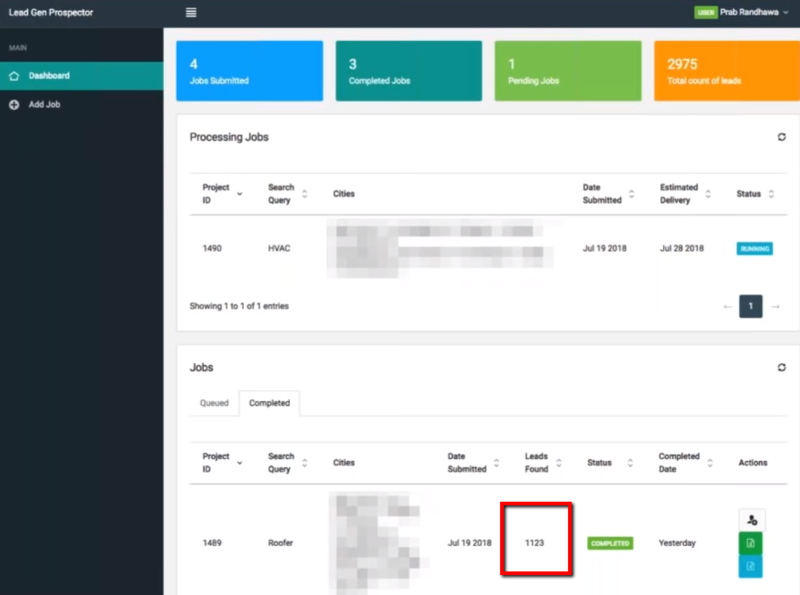 We have users who are averaging 550 leads per job..
And users who are averaging more than 1,000 leads per job. But at the end of the day, as long as you use the service you're getting one heck of a deal!